Beautiful new construction condo community in the heart of sw cape coral. Featuring 1,113 sf with 2 bedrooms 2 bathrooms and a private 1 car garage. Thoughtfully built with high quality construction and upgrades throughout each unit. Stunning kitchen with wood cabinetry, granite counters, and new stainless-steel appliances. Open concept living room overlooking the private screened patio. Master suite with walk-in closet and private master bathroom. Spacious spare bedroom with stylish full spare bathroom. Solid concrete block construction, hurricane impact doors and windows, soaring 9 foot ceilings, multiple tray ceilings, and 8 foot doorways throughout. Brick paver driveway and private screened lanai, tile roof, energy efficient appliances and a/c. Pets allowed with approval. Located in the desirable sw corridor within minutes of cape harbour for waterfront dining, shopping, entertainment, and boat rentals. Ideally situated just steps away from the grocery, restaurants, banks, pharmacies, and a short commute to cape coral beach and fort myers. Location! Location! Location! Enjoy sunset views on beautiful lake louise! 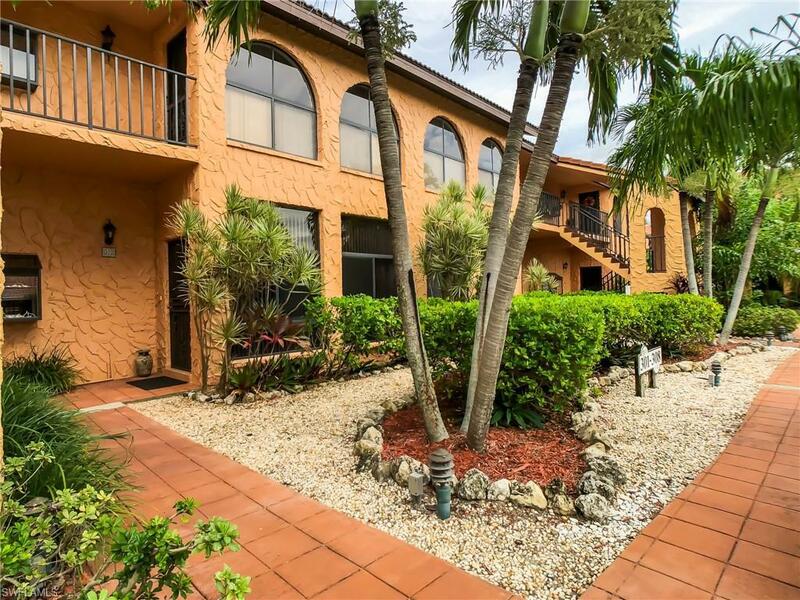 Rare opportunity to purchase a first floor, gulf access condo in this complex! 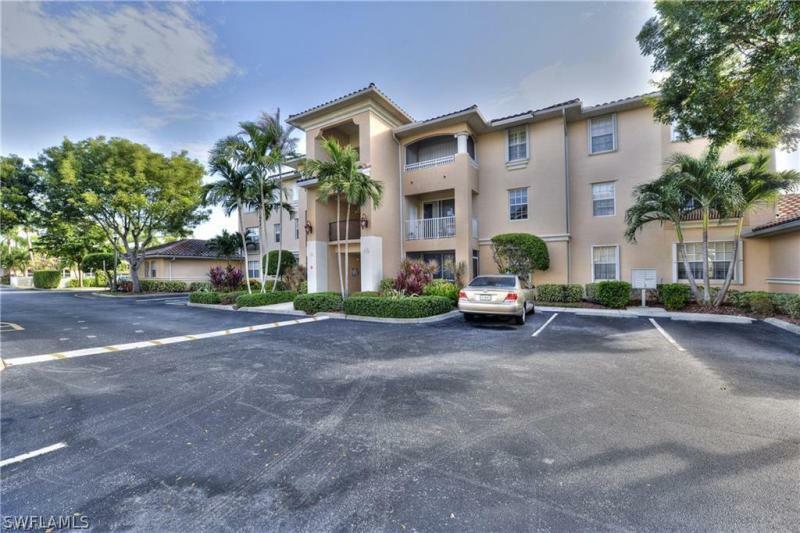 Unit is conveniently located in the desirable sw cape coral, close to publix. 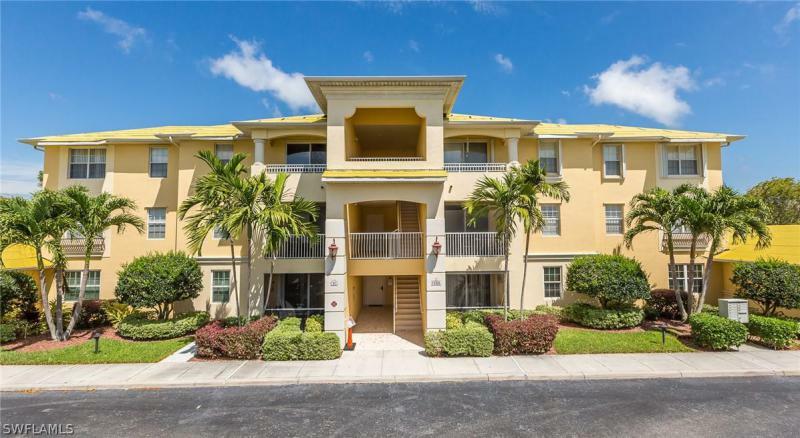 This two bedroom/two bath recently remodeled unit has stainless steel appliances, granite countertops, new cabinetry, 20 x 20 tile throughout, laundry inside and a full size, carpeted lanai complete with roll-down hurricane shutters. Covered parking space with ample guest parking and extra storage room are conveniently located right outside the front door. Fish right off the dock or enjoy watching the manatees and tarpon from your waterside screened-in lanai. Boat tie-up space is available on a first come first serve basis. Community heated pool with sauna. Furniture is negotiable. Gorgeous and spacious third floor unit in the much sought after porto vista condo complex in the heart of the southwest cape. Walk to cape harbour, restaurants, shopping, and much more. This awesome complex has a heated pool, clubhouse with fitness center, all new roofs, new pavement,and exteriors being painted in 2019. Also newly decorated foyers, and amazing lush, tropical vegetation. Bbq grills are conveniently located just outside. Porto vista is a small, intimate gated community with all the beauty, tranquility and quiet you are searching for. A one car garage comes with the unit, your water is included, and there are brand new smoke detectors. Come see this hidden gem and begin your life in paradise!! 3rd floor condo with elevator almost 1,300 sq. Ft. Of living area, large great room floor plan. Large kitchen with stainless appliances. High tray ceilings, spacious bedrooms, two full baths, indoor laundry, screened in lanai, with 1 car garage! Porto vista is a gated community with an elegantly furnished clubhouse, kitchen and exercise room plus a large heated pool with plenty of room to lounge. This complex is also within walking distance to cape harbour marina which offers elegant as well as casual waterfront dining, live music/events and some boutique shopping. Camelot park is also a short walk away where you will find tennis courts, a playground and picnic tables for your family gatherings. Camelot isles shopping center (two minutes the other way) offers you a publix grocery store, vet, gift shop, two banks, more dining and medical care. Opportunity knocks. Great investment. Sailboat access condo with 2 bedrooms and 2 bath in very nice and convenient area close to everything cape coral has to offer. Minutes by car to cape harbour marina and shopping plazas. This upstairs end unit with relaxing water views has a south facing screened in lanai from where you can watch the dolphins play. You have water views from the master bedroom as well as the living room. There is a large walk in closet next to the master bedroom. All tiled except bedrooms. Ac only 3 years old and unit was recently painted. 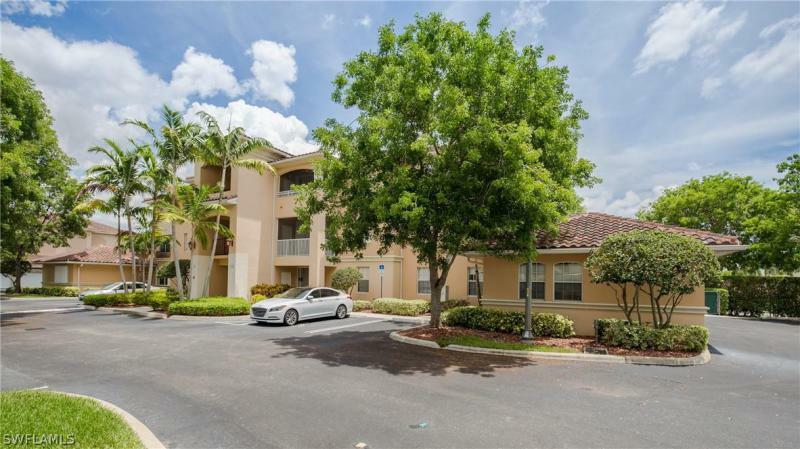 Desirable first floor updated condo in the mediterranean inspired porto vista community in sw cape coral. This bright corner unit has the larger barcelona b design w/spacious oversize great room w/all light tile floors throughout, crown molding, wood kitchen cabinets w/self closing drawers, granite counter tops, tile back splash & a new coastal inspired master bath. In addition, there are impact windows & accordion shutters on slidingdoor, a 2018 16 seer new a/c w/warranty. But more the entire condo comes turnkey furnished in a pretty coastal casual style to start your vacation now! Have your coffee on your screened tiled lanai over looking garden & have convenience of walking your small dog right outside. Enjoy community club house w/kitchen +large entertaining area+fitness center, heated pool. Stroll to popular cape harbour & listen to music at the gazebo or shop at boutiques or enjoy dinner over looking the marina. Location great for nearby amenities: large shopping center with groceries and shops nearby & camelot park w/tennis, pickle ball & play ground. Dont delay see this beauty today. Community getting new upgraded latest code roof & the owner has paid the assessment. Seller financing! 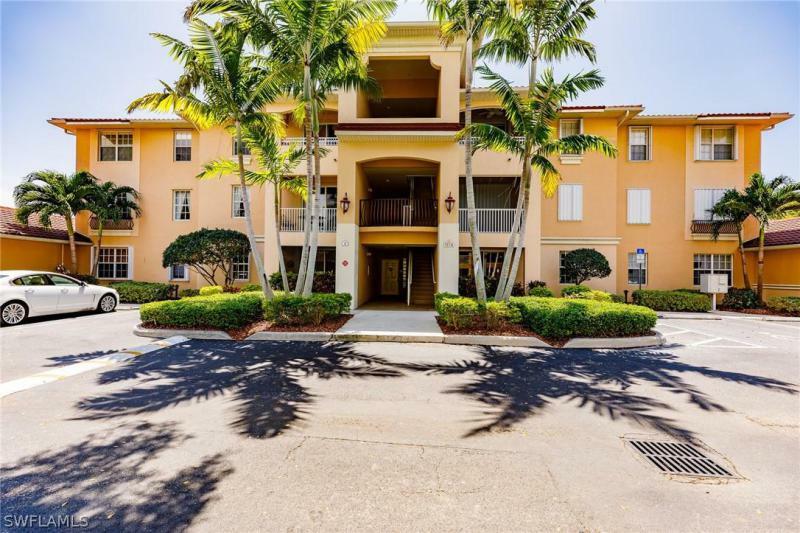 Beautiful 3rd floor condo boasts almost 1,100 sq ft of living area, great room floor plan with large kitchen open to living area, high tray ceilings, spacious bedrooms, walk-in closets, two full baths, indoor laundry with full-size washer and dryer, screened in lanai, plus a 1 car garage. Pets welcome!! Porto vista is a gated community with an elegantly furnished clubhouse, kitchen and exercise room plus a large heated pool with plenty of room to lounge. This complex is also within walking distance to cape harbour marina which offers elegant as well as casual waterfront dining, live music/events and some boutique shopping. Camelot park is also a short walk away where you will find tennis courts, a playground and picnic tables for your family gatherings. Camelot isles shopping center (two minutes the other way) offers you a publix grocery store, vet, gift shop, two banks, more dining and medical care. Rarely available condo. Location, location, location! Pictures speak for themselves. 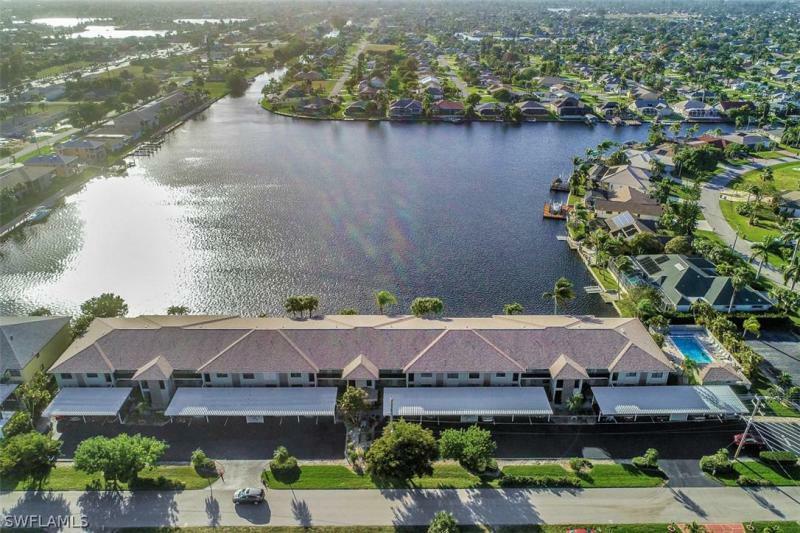 Nestled in the quiet rose garden area of tarpon point marina (westin) this unit is located across from rotary park & is only 1 of 3 condo complexes amid multi-million dollar homes. The list unit is being sold turnkey & the list price does not justify the overall value of the property! Current seller never imagined to be selling, but family commitments dictated. This is a 1st floor unit w/over 1100+ sq. Ft. Of living space. Features 2 oversized bedrooms along with an updated master bath, walk in shower & closet. Guest bath/bedroom is split from master for privacy. Beautiful flooring & carpets thru-out, high-end furnishings & window treatments make this a complete package. Vacation rental potential abound. New roof ($150k) 2018 w/little or no assessments to owners / paid in full. Hoa reserves & financials are solid (see mls supplements). Only 10 units in the bldg, some full time / some snow birds + self-managed, this complex seems more like family than 10 units individually owned. Whether part time (leasing ok) or full time, it is an opportunity that cannot be missed. Bring all offers!